Do people talk about your crappy attitude? 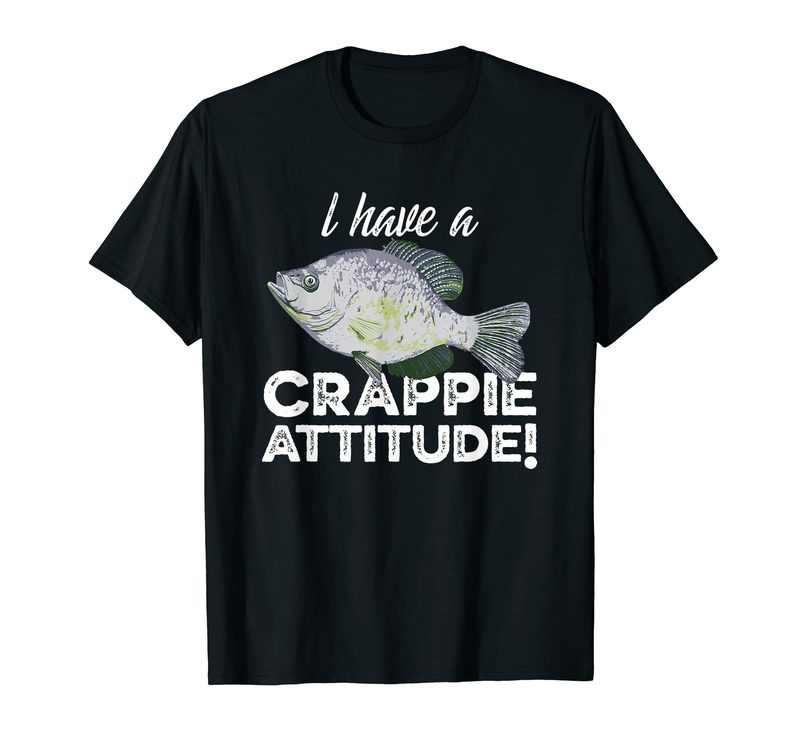 Wear this Crappie Attitude tshirt and enjoy the laugh. This funny fishing shirt makes a great fishing gift, birthday gift, Father's Day gift or Christmas gift for that special crappie fisherman! This could be your lucky fishing shirt. I have a Crappie Attitude for the Crappy Fishing fisherman with a crappy attitude. Every sarcastic, witty and annoyed fisherman would love this shirt.